Instructor Chris Wolff is coming to us from Corvallis to teach week long tennis camps throughout the summer. Chris has over 15 years of experience playing and coaching the game of tennis. His coaching formula engages every child continuously in every activity. The camps are designed for beginning to intermediate level participants and will emphasize the development of stroke fundamentals, conditioning, footwork drills, tennis rules, etiquette, and introduce the students to competitive match play. All participants are encouraged to bring their own rackets. Activities will run rain or shine. There will be breaks during each day. Campers should bring a snack plus water or sports drink. Train with 5-time American Ninja Warrior Finalist and internationally renowned parkour instructor, Elet Hall. Elet has brought athletics and the outdoors together in instructional roles for years and has endless energy. 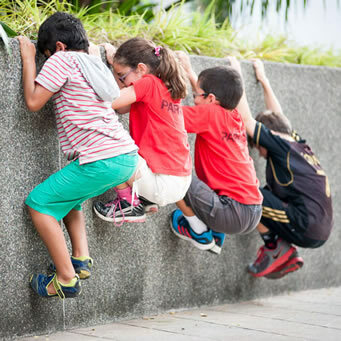 Learn the fundamentals of parkour, obstacle navigation and even some circus skills in this very special camp opportunity. Do not miss this opportunity to train with one of the best! The camp will break for lunch. All kids must bring their own sack lunch. We will spend the week learning crabbing, claming, and various fishing techniques and visiting different fishing holes in the area. Depending on location we may drive to and from a local fishing hole or bay each day or stay at the park fishing the reservoir. Afternoons are generally dedicated to catching fish and each morning we learn new fishing techniques and tools including fly fishing, fish traps and primitive fishing techniques, cleaning the fish you catch and understanding fishing gear, knots and lures/bait. Hwy 101 South out of Newport across bay bridge and 3 miles to a right into South Beach State Park. Go 500 feet and stay straight heading to the Day Use Area Parking Lot. The instructors will meet around the picnic tables and restrooms. 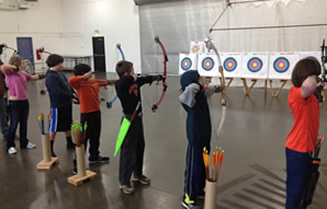 Learn and practice the exciting sport of archery in our week long camp! New and experienced archers are welcomed. We'll provide all of the equipment, but students can bring their own if they want too. Only target arrows are allowed. Due to safety standards, all students must be 9 years or older to enroll. Parents are welcome to enroll with their children. Register early because space is limited. There will be breaks during each day. Campers should bring a snack plus something to drink. The main objective of this camp is to bring a fun, safe, and low cost activity to the community! 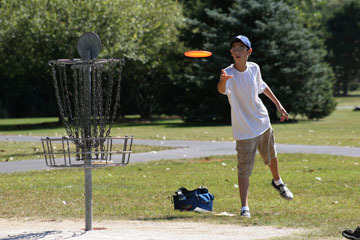 The camp includes a three-hour training session with a trainer, PDGA approved disc and mini disc placement marker. Designed for youth between the ages of 7-14 years old. Participants will learn about the basic rules, safety, disc grips, throwing styles and types of discs. Individual and group instruction will be available. Adults are welcome to stay and learn, too! Hwy 101 South out of Newport across bay bridge and 3 miles to a right into South Beach State Park. Go 500 feet and veer right towards the campground, 300 feet to the first bend with a parking area made of chips near the 1st tee. We’ve partnered with Ossies Surf Shop to have their professional staff offer a specialty paddling class. 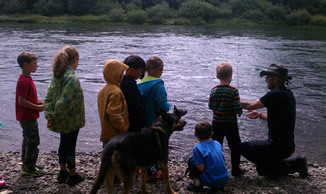 Ossies’ instructors have over 40+ years of instructing experience in Lincoln County and the state of Oregon. 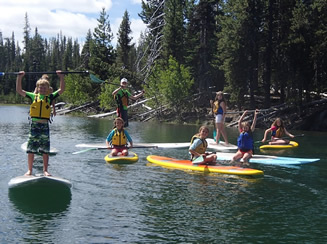 The 2 day class will guide the participants through basic paddling techniques, balance, self rescue skills, and general water safety on kayaks and stand up paddleboards. All instructing will be completed at the Big Creek Reservoir. Registration for the class includes rental of SUP board, kayak, paddle, personal floatation device (PFD) and instruction on both days. All sessions are dependent on the weather conditions for each day. This camp is an exciting adventure in experimenting with nature. Instructors with a background in survival and primitive skills use games and scenarios to introduce campers to common but fun and challenging skills. 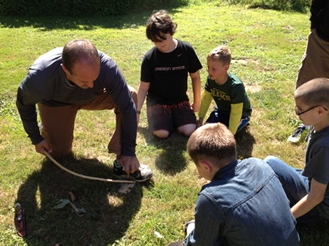 Campers work in teams to solve problems such as how to stay warm and dry in bad weather, basic fire building skills, simple traps and various ways to make rope. 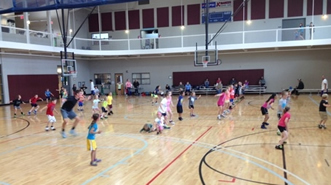 Fun games that require campers to learn stealthy movement are a big part of each day. The goal of this camp is to develop social skills and self esteem and to have a lot of fun doing it. This course takes Wilderness Survival to a whole new level. Campers use increasingly complicated scenarios such as being lost, accidents in remote places, dealing with natural disasters (including the Zombie Apocalypse) to develop real survival, disaster response and primitive skills. 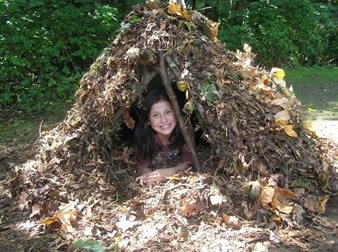 Improvised and natural shelters, broad approaches to contemporary and primitive fire building, various traps and food gathering/ID techniques as well as orienteering and navigation are taught in detail by experienced survival and primitive skills practitioners. Other more advanced skills (tracking, wilderness medicine, cooking, cordage, stone tools etc.) are introduced as time allows. The class emphasizes the development of teamwork, leadership and decision making skills as necessary to performing well when resources are few. Our basketball camp will be led by the great coaching staff of Newport High School. Head Coaches and their high school athletes will involve learning and utilizing fundamental basketball skills. Campers will learn and practice ball skills, shooting skills, and basic fundamental principles in various drills and game situations. The camp will be designed for beginners and experienced players to improve on their skills as well as learn about the game of basketball. We will also strive to teach the campers positive communication, goal setting and listening skills during the week. There will be breaks during each day. Campers should bring a snack plus water or sports drink.